This Studio Apartment sleeps 2 people and has 1 double bed, 1 bathroom with bath and shower, a living area with TV, fireplace and balcony and a fully equipped kitchen with refrigerator, hob, microwave and coffee machine. 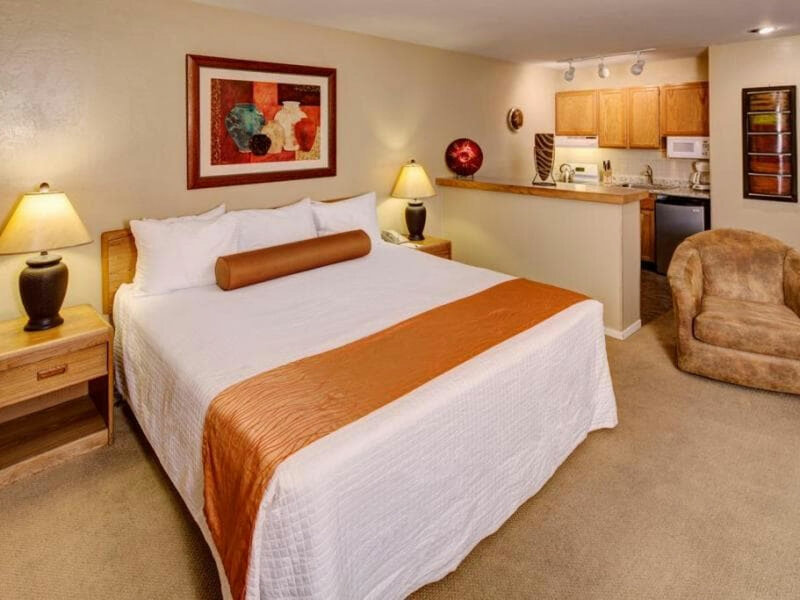 Services include beds made on arrival, daily maid service and complimentary breakfast. If you decide not to cook, the Aston Lakeland Village is close to a number of restaurants and cafes that can provide a selection of fantastic gastronomical options to satisfy any need; The Boathouse on the Pier restaurant just a few paces down the beach is a wonderful spot for dinner or to just sit with a drink and watch the sunset as it drops down behind soaring Mount Tallac. The hotel also has its own complimentary BBQs for guests to use, perfect for when the sun is shining. 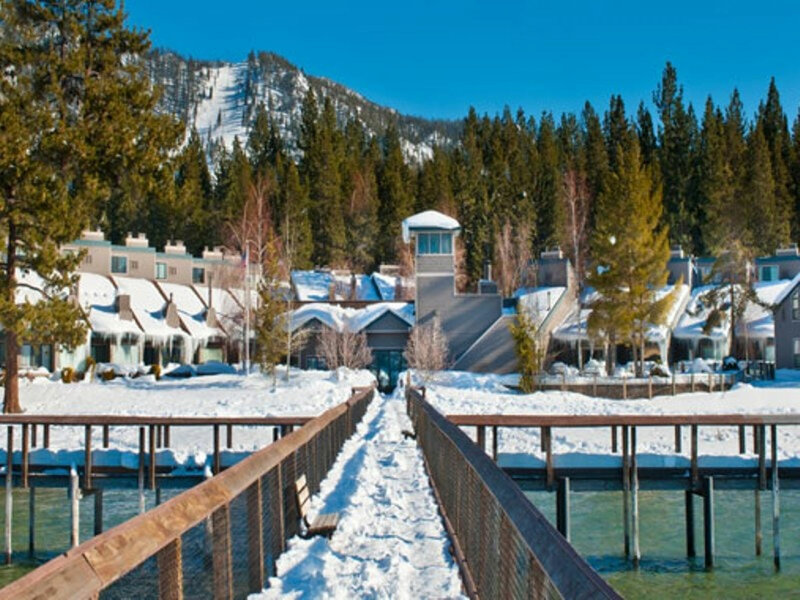 The Aston Lakeland Village is located in South Lake Tahoe, sitting right on the lake edge and boasting of breathtaking views up to Heavenly Mountain ski resort. 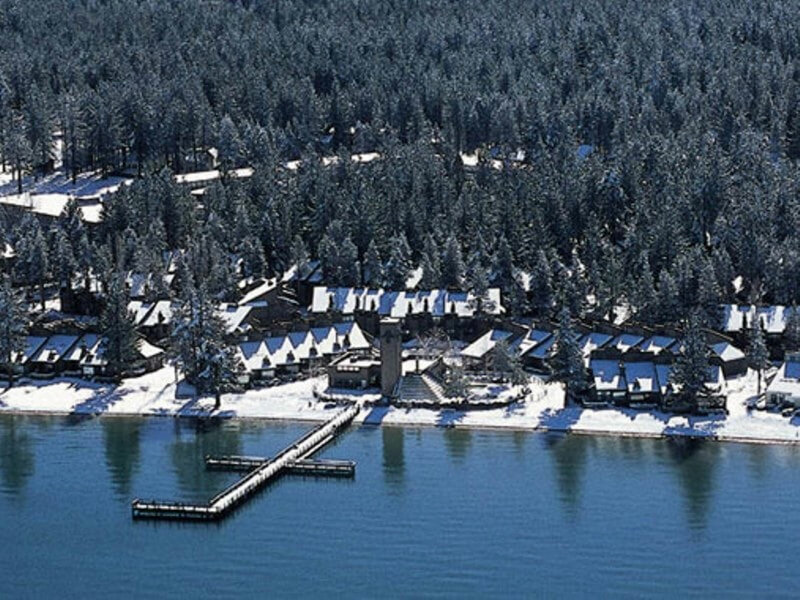 The lakefront buildings are decorated with warm mountain decor that gives their charming apartments an inviting and comfortable atmosphere, gazing out straight out across the stunning Lake Tahoe. With swimming pools, saunas, tennis courts, a fitness room, free WiFi, hot tubs and a barbeque area, the Aston Lakeland Village is just perfect for relaxing after a long day on the slopes and sitting back to admire the alpine views. 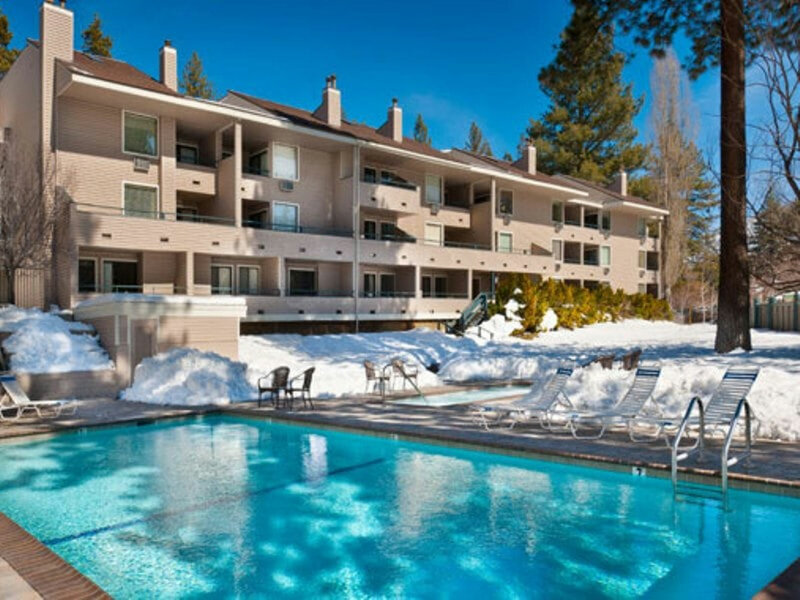 The residence has a free ski shuttle service that runs straight up to Heavenly Village, which is located approximately a mile away. 1 outdoor parking space is available per room.